Lindsey Dillon, James Doucet-Battle and Rebecca London add to the 16 faculty in the Sociology Department at UC Santa Cruz. How is police brutality an issue of environmental justice? 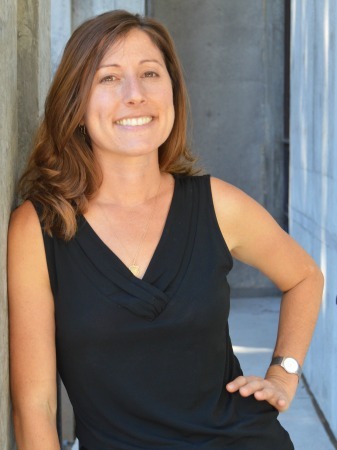 Ask Lindsey Dillon, a new assistant professor in the Department of Sociology. A geographer by training, Dillon is also an environmentalist with a keen sociological eye. Her research focuses on the intersection of urban geography and histories of racism, and and the health disparities produced through unequal exposure to environmental toxins. In a paper coming out later this year, Dillon and her co-author Julie Sze of UC Davis extend the lens of environmental justice to include police brutality. They argue that racial disparities in pollution and police violence are socially produced and evident in U.S. cities today. Dillon and Sze point to the 2014 death of Eric Garner, who was killed from a chokehold by a police officer. Garner also suffered from asthma, a medical condition connected to the environment and health inequity. As Dillon and Sze argue, Garner’s death can embody a broader political geography of race and racism in the U.S.
CityLab, The Atlantic’s coverage of pressing issues in the world’s metro areas and neighborhoods, featured Dillon and Sze’s upcoming article as did the San Francisco Examiner. Dillon also studies the militarization of the San Francisco Bay Area as it relates to nuclear testing in the Marshall Islands. This summer, she participated in a panel at the Exploratorium Museum in San Francisco about radiation testing of the atomic bomb and the social and scientific history in the Bay Area. 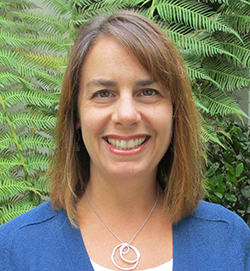 Dillon joins UC Santa Cruz from UC Davis, where she was a University of California President's Postdoctoral Fellow in the American Studies Department. She received her Ph.D. in geography from UC Berkeley. The sequencing of the human genome is transforming the fields of science, medicine, technology, and health. But at what social cost? Exploring this critical turning point is James Doucet-Battle. Doucet-Battle examines how this juncture is impacting the African American community, a group subjected to a long and complicated history of scientific racism and health disparities. Doucet-Battle is working on a set of projects that look at how Type 2 diabetes, race, and risk are often conflated in discussions about the disease - especially in the medical research community. 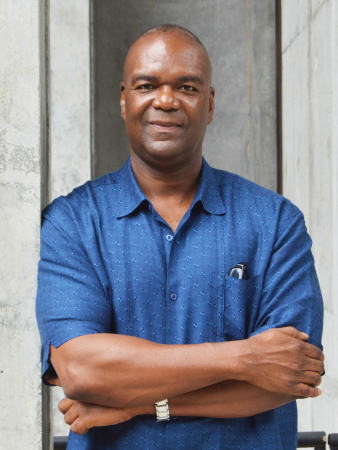 Some of his findings were just published in the fall issue of Transforming Anthropology about one church’s Type 2 diabetes outreach efforts with its African American community. Doucet-Battle examines the gendered and racial problems involved in establishing trust and achieving cultural competence. Later this year Catalyst will publish a piece Doucet-Battle authored about Henrietta Lacks, a poor African American woman who in 1951 had her cells taken without her knowledge to establish the immortal HeLa cell line. Medical researchers continue to use the HeLa cell line in their research while her descendants have no health insurance. Doucet-Battle argues that the HeLa cell line symbolizes the history of slavery and black female reproductive rights (or lack thereof) and how the concept of matriarch, a term traditionally used in social and political sciences, is now used by the medical community to also describe Lacks. “In perpetual consequence as an ascriptive matriarch having no real ability to effect change in the social order, her descendants live in relative poverty,” writes Doucet-Battle about Lacks. “She, and most black “matriarchs” in the U.S. struggle against a downward intergenerational spiral of health and economic disparities, kinship instability, and their disparate intersections with social, economic, and medical justice,” he adds. Doucet-Battle joins the Sociology Department as an assistant professor. He is a graduate of the UC Berkeley/UC San Francisco Joint Medical Anthropology Program and was a University of California President's Postdoctoral Fellow at UC Santa Cruz. Rebecca London joins the Sociology Department as an assistant professor. She also collaborates with the Center for Collaborative Research for an Equitable California where she researches K–12 and postsecondary education, university-community partnerships, welfare reform, health and wellness, the digital divide and children’s living arrangements. Prior to joining the Sociology Department, London held other research appointments across the UC Santa Cruz campus. More recently, London worked for the Stanford University Graduate School of Education in the John W. Gardner Center for Youth and Their Communities where she served as director of research. She recently received funding from the Robert Wood Johnson Foundation for a project titled "Implementation of Playworks Team Up." Last year, her research about Playworks was profiled in a piece published by Inverse about structured recess and supervised playtime at elementary schools. London earned a Ph.D. in human development and social policy from Northwestern University's School of Education and Social Policy.